ST. GEORGE – Snowpack levels in Southern Utah are “below abysmal” for this time of year, according to national water officials. According to a January report from the Natural Resources Conservation Service, the snowpack in southwest Utah is at 8 percent of normal, with seasonal precipitation for October through December at 14 percent of average. The county’s best months for snow have typically been February and March, but future weather predictions indicate the region will remain dry. The dry weather this time of year is the complete opposite from what is was a year ago. Storms at the start of 2017 left mountaintops with snowpacks between 200 and 400 percent above average. The last time southwest Utah’s snowpack was so low was 1977, according to the NRCS report. The county will likely be living off reservoir water storage this year, Julander said. 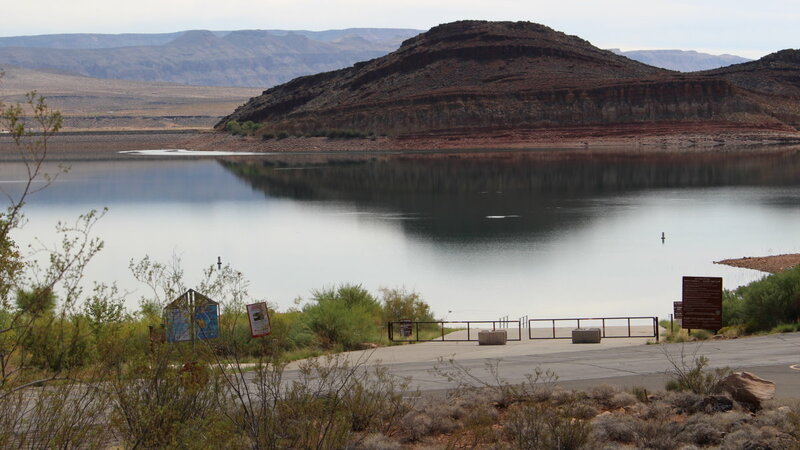 Sand Hollow and Quail Creek reservoirs are 93 percent and 67 percent full, respectively. When Quail Creek, the first of the county’s reservoirs, was proposed in the early 1980s, some county residents at the time said the project was unnecessary and too costly. Construction of the project was over $20 million, which 90 percent of county residents voted to bond for despite objecting voices. While water shortages aren’t expected due to the reservoir storage, water district officials encourage water users to be efficient in their water use. They are also asked to turn off outdoor irrigation during winter and water sparingly this spring. “Every drop we save counts,” Thompson said. While municipalities like St. George and Washington City typically impose outdoor watering restrictions on residents during summer months, it remains to be seen if additional measures are put in place should the dry winter continue. Oh me, oh my! We must have a $3 billion(?) Lake Powell pipeline! Here take my money while I go water the yard. This would seem to indicate the need for the Lake Powell pipe line. I just wonder if we have the legal right to the water there. And if there will be enough water if we do. Good thing water manager Ron Thompson has over 100,000 acre feet stored under Sand Hollow Reservoir to serve as protection for drought. That’s not to say that citizens should not conserve water. It just means that we have water – but not to waste. Makes me wonder, however, why the City of St. George even under such dry conditions insists on watering parks during this time of the year when lawns are dormant and don’t need watering. Don’t Ron Thompson and Mayor Pike talk, or does the mayor just not care? Also, the Colorado River is forecast to flow at 54% of its average volume during the key runoff season in 2018 (April to July). So, Ron Thompson and others should not look to the CR as their savior. Jack up the prices for water. The only way people/businesses are going to conserve is if it hits them in the wallet.